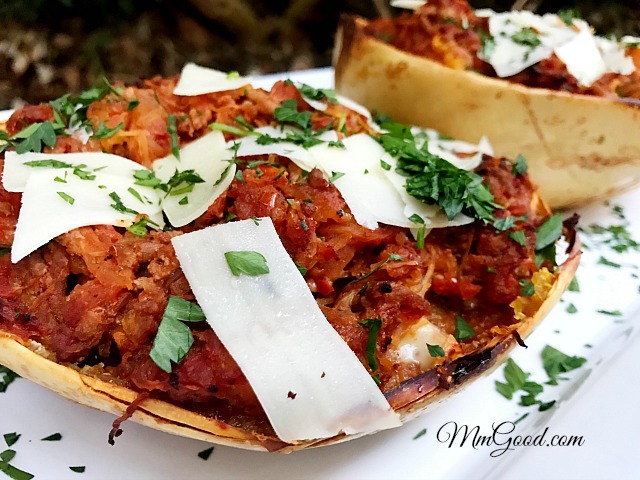 Twice baked stuffed spaghetti squash…wow that’s a mouth full! 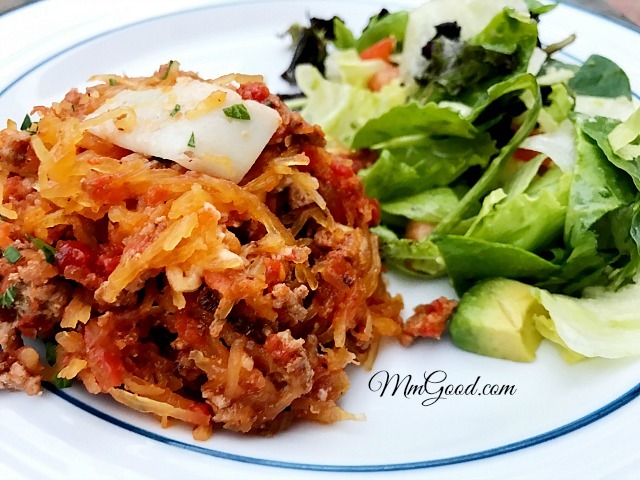 Have you attempted to make a spaghetti squash? 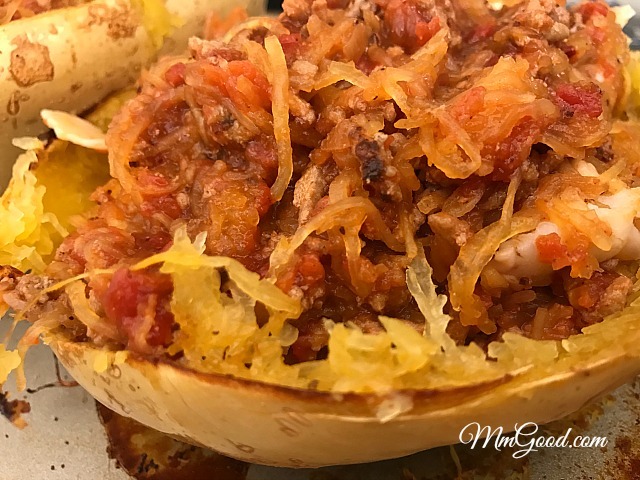 After many attempts, I found that if you bake the spaghetti squash to perfection then mix the spaghetti squash with your favorite sauce, stuff the shell of the spaghetti squash and baking it again…comes out perfect every time! 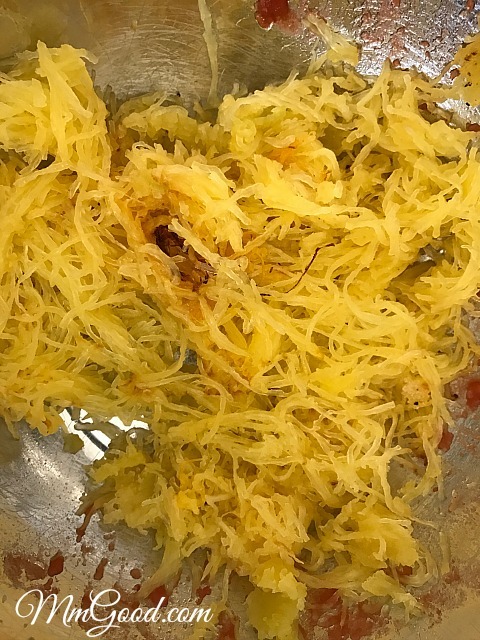 This time last year I was experimenting with spaghetti squash recipes as I wanted to create the “perfect” recipe, a recipe you and your family would love. 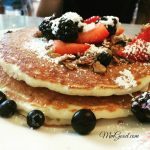 After many attempts of creating that perfect recipe, I walked away as nothing was worthy of posting. roast until cooked through (it’s ok to over cook the squash), I baked mine at 400 degrees for about 40 minutes. 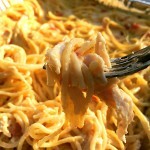 Remove from oven and using a fork remove the flesh from the shell, the flesh will come out in long strands resembling spaghetti. 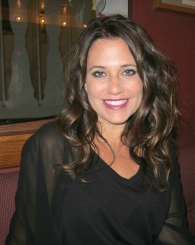 After many attempts last year in creating the perfect recipe, I figured it out (thanks to my best friend Melissa)!!! 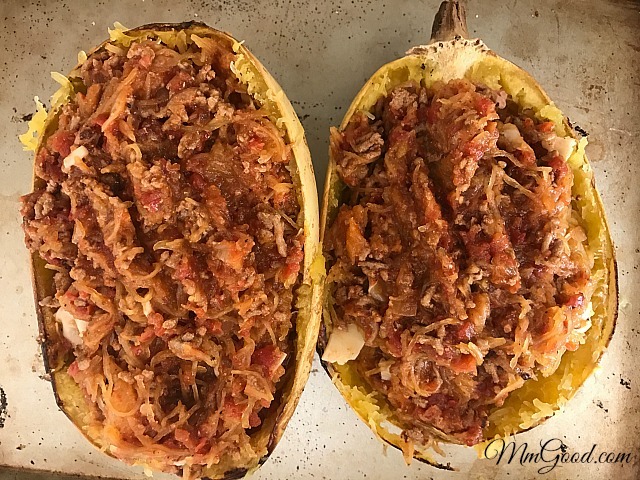 For me, the key to this recipe or in baking spaghetti squash is letting the squash almost over bake the first time, and then baking it twice! 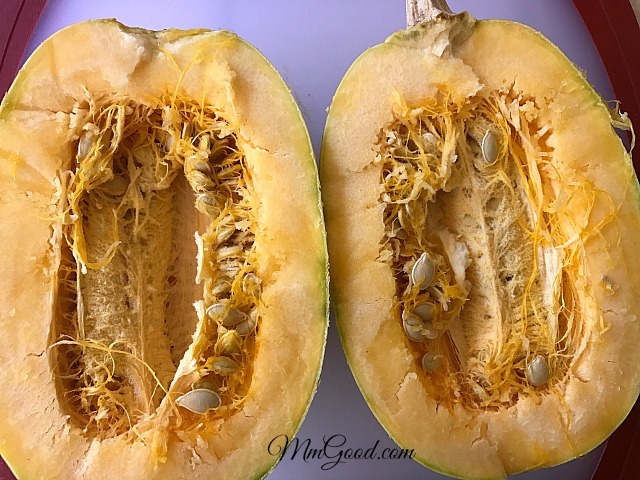 I had friends over that didn’t even like squash and loved this dish…it’s the perfect hearty meal for the fall/winter months and it reheats perfectly. Preheat oven to 400 degrees. 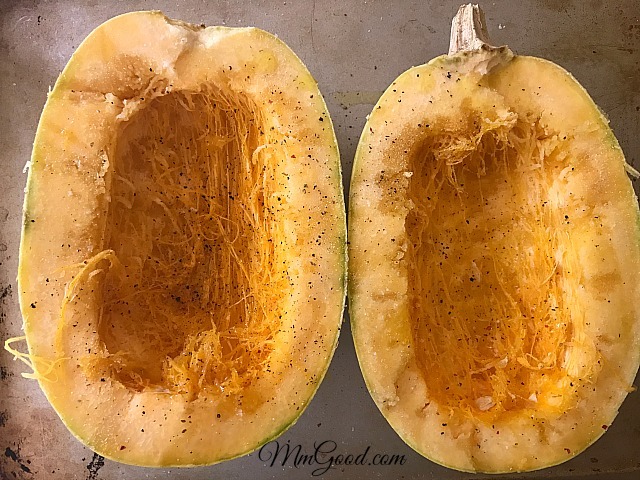 Place squash on baking sheet, season with salt, pepper and garlic powder. Bake until soft, then bake for 5-10 minutes more. 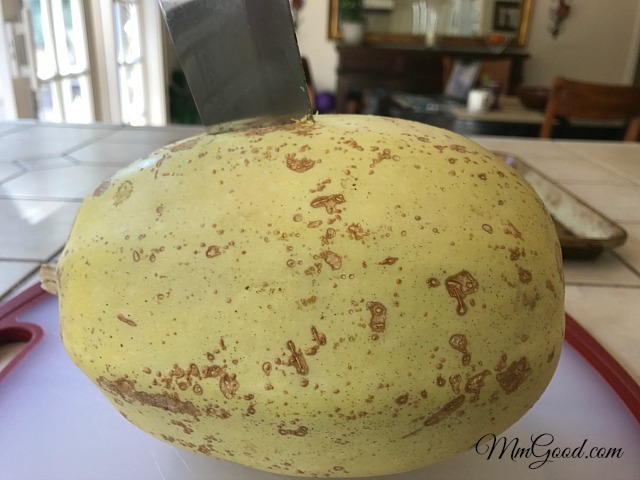 Once cooled to touch, using a fork, begin scrapping the insides out of squash. 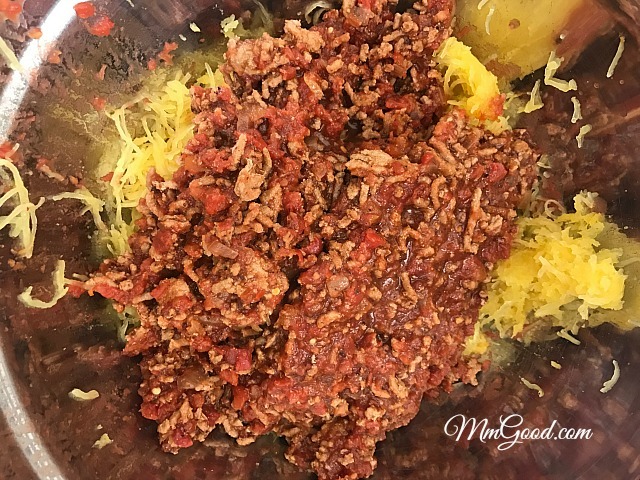 Add favorite sauce to the flesh of squash and mix well. 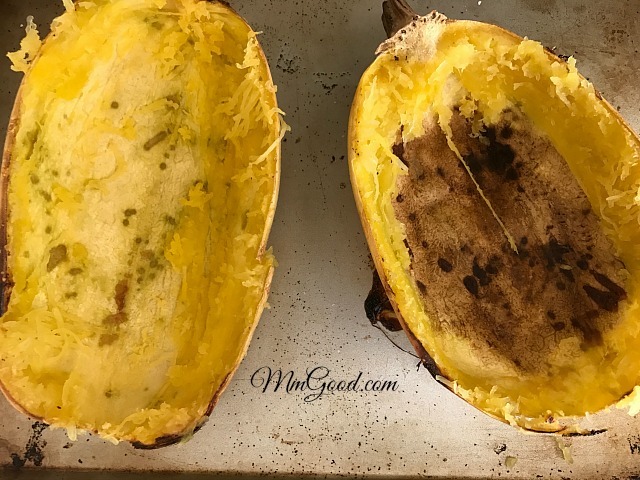 Place squash back in the shell and bake, uncovered for an additional 10-15 minutes. 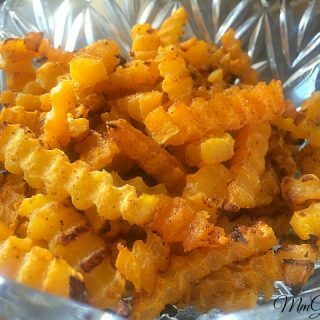 Serve hot and enjoy!